Well, well. Making this blog post because I want to share the cool finds I found while strolling around. This I believe are meant to me the first I saw it. LOL! 1. Eat Well. Travel Often. 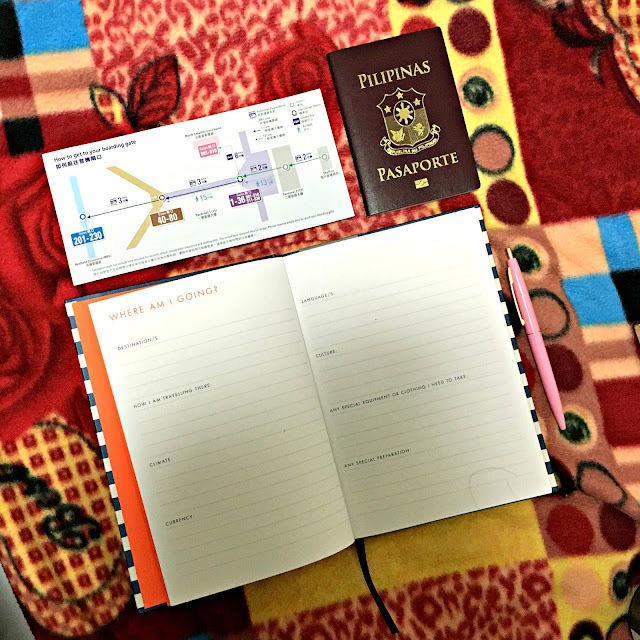 Travel journal. Bought it at Kikki.k Times Square Hong Kong. Well, you see, I didn't bought many stuff for myself when I was Hong Kong but when I laid my eyes on this one, I am having a debate with myself if I should get it or not. And in the end, I just had to get it! 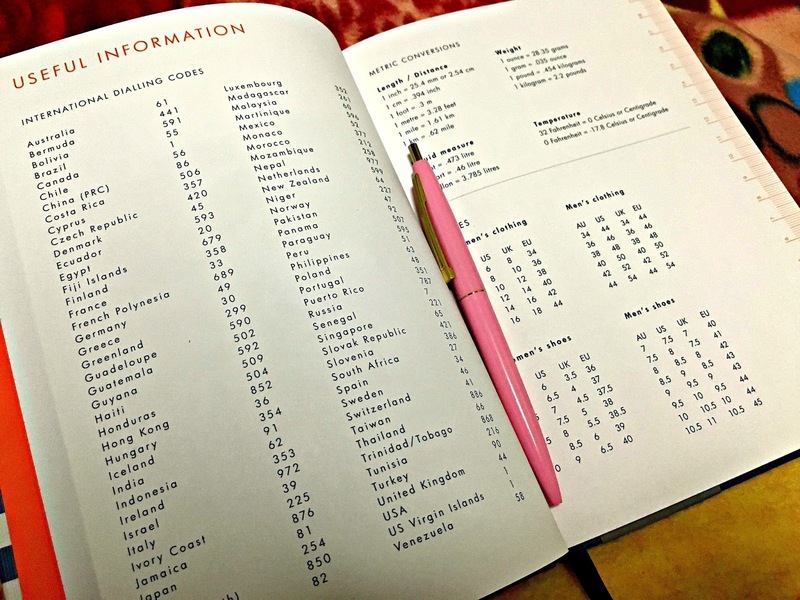 It's very useful and I couldn't wait to fill its pages with everything related to travel! I wish I had this sooner so I could already use it prior to all my trips on the first half of the year. Seems like I will have to wait for November before I can finally use it. If you are addicted to stationery, and happen to be in Hong Kong, you should definitely visit this store. This is such a heaven of notebooks! 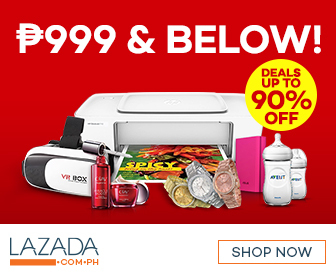 Just by visiting their website, I know you will want to buy one for yourself! 3. Matcha peanut butter and Matcha powder. Because who else doesn't love matcha?? 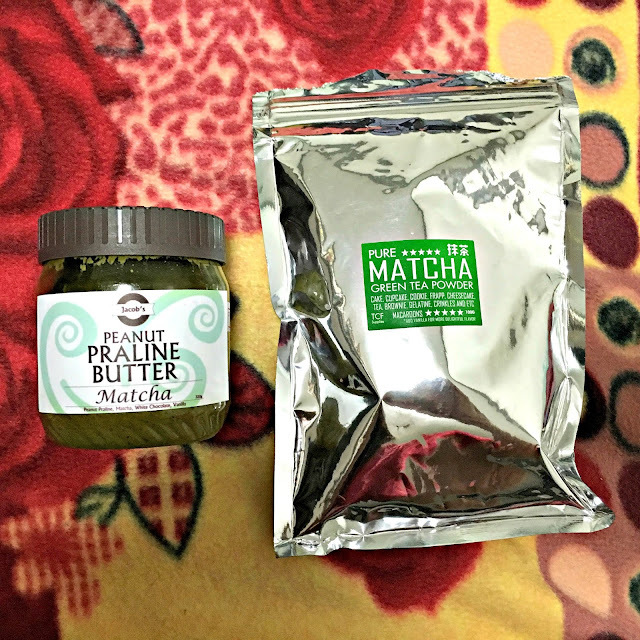 I bought the matcha peanut butter at Echostore in Eton Centris Q. Ave. This store is actually all kinds of organic and healthy! So when I saw this, being the matcha lover that I am, I knew I had to try this one out. 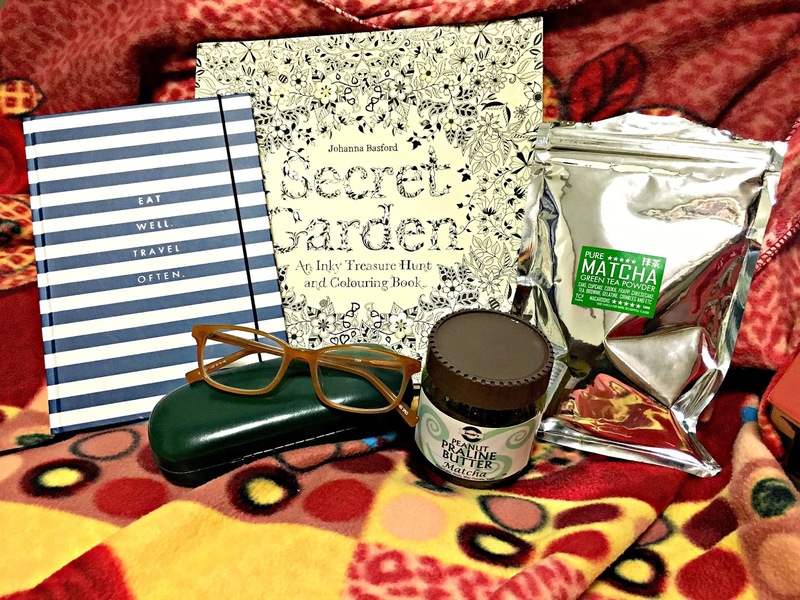 As for the matcha powder, I bought this one at a baking supplies shop in UP Town Center. We're strolling around and looking at the cutesy baking supplies when I found this one. So again, being the matcha lover that I am, I bought this in attempt to make a matcha latte at home. As of this writing, I haven't perfected the matcha latte I'm making even though it seems easy to make. I'm struggling at proportions but I'm getting there! 4. And lastly, my Sunnies Specs eyeglasses. I couldn't stress this enough. (See this blog post) I'm liking the frame that much. :) Looks darker on the picture though. Andddd.. that's all for now. If there's something I find cool again, will definitely share it here. With the travel journal, I'd probably go crazy! Although my planners have a history of not being able to keep up with my life. I've seen Secret Garden coloring book. And am in love with matcha. It's the new spice! Absolutely loving that journal!!! Might need to pick one up! Omg! I'm so jealous! 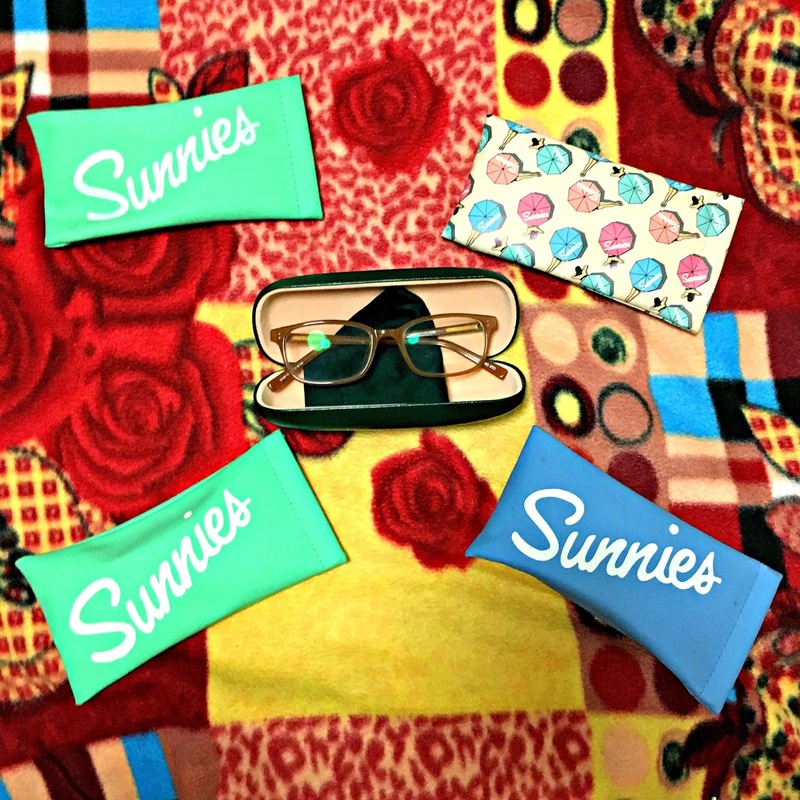 I love Match and I want a pair of sunnies specs too :( How much did you spend for your specs? I like to get the Matcha too. I just hope I can fin Matcha tea online. 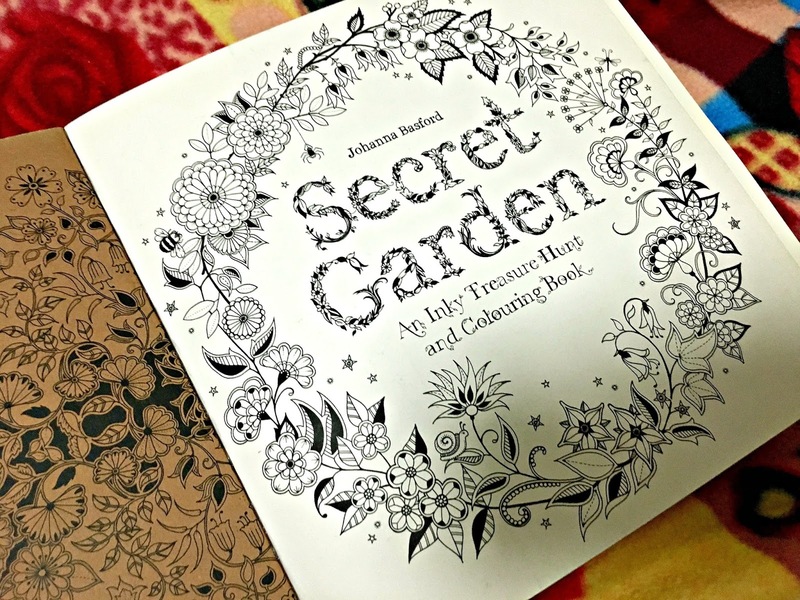 I'm also into coloring lately because my OB advised me to completely bed rest because of my delicate pregnancy. I have the same too - Secret Garden. But I'm coloring a mini version of it. SUNNIES!! Sunnies is my all time fave!! You better check out some of their new collections: Sunnies Specs. Very simple yet aesthetic. Wooow! You have cool stuffs. I wish I have my own Secret Graden books also.